Washing your hair with sulphate-free shampoos is really important, but especially if you suffer with fine hair. Sulphates are foamy detergents that cut through grease in no time, but will likely leave your scalp and hair super-dry – so much so, they can damage your lipid barrier and cause irritation. Dermalogica Daily Cleansing Shampoo is totally sulphate-free and delivers healthy, shiny hair with every use. Conditioner is intended to smooth the hair out and help you to remove tangles, but some conditioners are heavier than others and can play havoc with fine hair, weighing it down and making it appear even thinner. Opting for something much lighter like Dermalogica Daily Conditioning Rinse will allow you to condition your hair without robbing it of volume. If you’re anything like us, the thought of using diffusers and other devices while drying our hair leaves us in a cold sweat. The simplest way to add volume and the appearance of thickness to your hair is to simply dry it with your head upside down. This will give your roots lift, making your hair look thicker and more textured which will really improve the overall appearance. 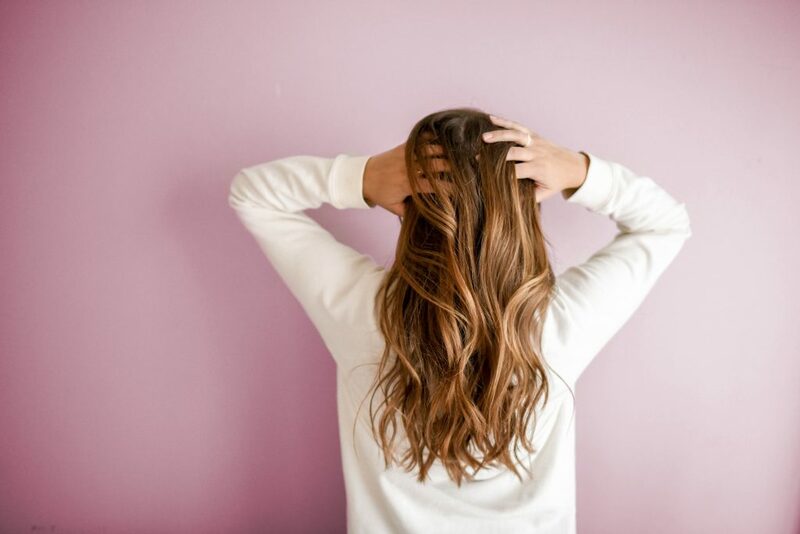 We are well aware that saying “cutting your hair will make it grow thicker” is an old wives’ tale, but it’s a fact that the longer your hair is, the thinner it will look. If your hair is naturally thin, getting it cut to between chin and shoulder length, in a blunt style, will make your hair look much fuller and thicker. If you’re a dab hand with styling your hair, then adding waves to your hair will also add instant thickness. Waves give the hair movement and shape, making it look much fuller and thicker. However, if you’re using a tong to curl your hair, we strongly recommend using a heat-protection spray as you don’t want your already-fine hair breaking off at the tips!